The “Wicca/Witch” Connection: What’s the Difference Between a Witch and a Wiccan? Anyone who has ever been confused about whether Wiccans are Witches, or vice versa, can rest assured that they are not alone! These two words have been used in different ways, with sometimes very different connotations, for centuries. Today, they may be considered interchangeable by some practitioners of Wicca, but completely distinct from each other by others. Some Wiccans identify as Witches, while others do not. Furthermore, there are plenty of folks whose practice of Witchcraft has elements that overlap with Wicca, but who do not identify as Wiccans. For Wiccans who don’t consider themselves Witches, the reason is usually that they don’t practice magic, which is the part that most people think of as “Witchcraft.” They worship the Goddess and God, celebrate the turning of the Wheel of the Year, and live in harmony with nature, but they don’t seek to harness the natural energies at work in the Universe to bring about desired change in their lives. Therefore, these Wiccans are not Witches. 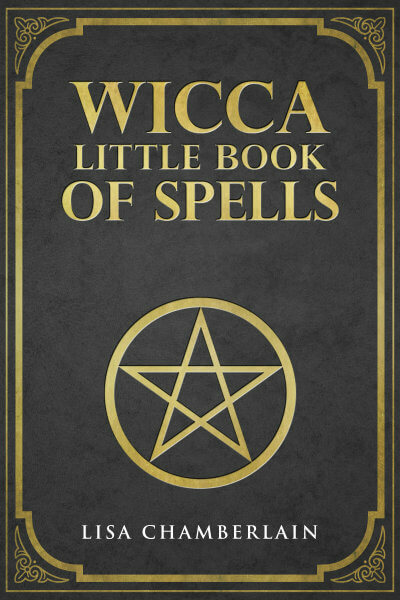 Interestingly enough, however, the origins of what we now know as Wicca were absolutely considered to be Witchcraft, as described by Gerald Gardner and many others who studied and practiced occult spirituality in the U.K. from the 1940s through the 1960s, where the Gardnerian and Alexandrian traditions were founded and developed. These pioneers of modern Witchcraft did view themselves as Witches, and in fact the word “Wicca” was not applied to these forms of the Craft until several years later, once the practice had spread to the United States. 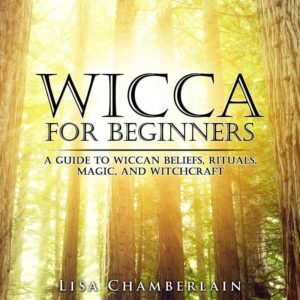 So where does the word “wicca” come from? It’s actually an Old English word for “sorcerer” or “diviner,” and comes from the old Anglo-Saxon culture, where these magical skills were valued. As the English language evolved, “wicca” eventually became “witch,” a linguistic shift that occurred sometime during the 1500s. (Interestingly, the word “wiccan” in Old English was actually the plural form of “wicca,” whereas today it has become an adjective to describe anything associated with the religion of Wicca.) For his part, Gardner referred to his coven members as a whole as “the Wica,” and it’s believed that this is where the modern name Wicca evolved from. Many who feel strongly about their self-identification as Witches will say that they are reclaiming the word from the centuries of Christian persecution, when it became an accusation rather than a respected title. No one in their right mind would have identified as a Witch during those times, but thankfully we have the freedom today to do so. Nonetheless, there’s still a long way to go in terms of removing the stigma from the “W” word, which may be why so many Witches choose to capitalize it—in order to distinguish it from the fairy-tale stereotype of the “wicked witch,” or an insult aimed at grouchy women. In fact, these negative connotations are why some Wiccans choose not to identify as Witches. So how do you know which word to use? When it comes to describing yourself, you should always go with what resonates in your heart. When it comes to other people, you can always ask them respectfully how they self-identify. Because Wicca as we know it today is such an eclectic, individualized practice (aside from Traditional Wicca of course), it’s really up to individuals to decide what they’re comfortable with when it comes to the “W” word.